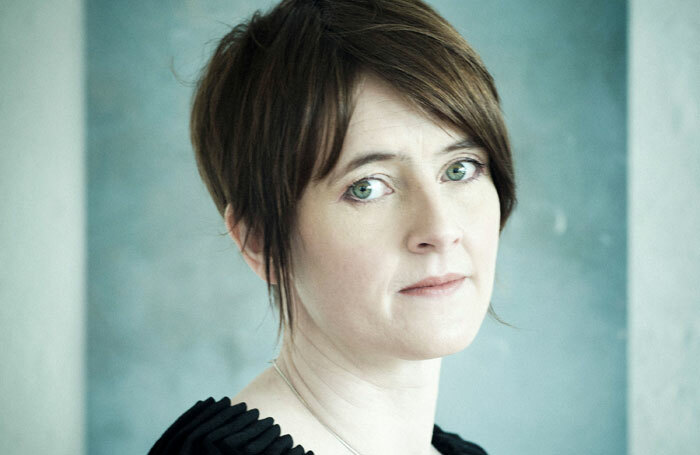 Whispered through grasses and sphagnum, yet shouted out from the heights of the hills surrounding Edinburgh, musician Karine Polwart’s foray into theatre is a thing of beauty and understanding. She has taken a fragile story of love and immense tragedy set in the lonely, sky-kissed and unremarkable heather wetland of Fala Moor, and woven from it a piece of theatre that speaks of universal concerns with power and authority. This is quiet strength, a weaving together of hidden stories of childbirth, loyalty and support. Here are the discoveries of the medical qualities of herbs and their use by illicit midwives in the medieval monastery at Soutra Aisle, traditional Scottish folk tales explaining how natural phenomena occurred, scientific theories about the flight of wild birds and anecdotes about the managerial skills of famous football managers. Each tale, each circumlocution into a different area of interest, becomes woven into and strengthens the fabric of the whole story of a forbidden love. Although this is without doubt Polwart’s doing, it doesn’t feel coincidental that the piece was commissioned by David Greig and forms something of a soft opening to his era as artistic director of the Royal Lyceum. Direction comes from Wils Wilson, with whom Greig created The Strange Undoing of Prucencia Heart. Polwart is best known as an award-winning folk singer and she brings nearly a dozen songs and pieces of music to the production. You would happily listen to them on their own as she uses the tricks of the recording studio to overlay melodies live on stage, her voice – clear yet sometimes husky in its intimacy – the perfect instrument to bring the tales within those stories to life, to stand alongside the stories she tells. Wind Resistance could just as well be called a play with songs as a play with stories – it is all theatre. Polwart’s performance is controlled and perfectly in charge of her audience; her delivery, when she needs it to be, is devastating. The open stage, built inside the Lyceum’s rehearsal studio, provides a study-like set under Camilla Clarke visual design, helping create an intense, intimate feeling of the whole. Birds and medicine are constant themes. A stuffed owl peers from one side of the stage, an open cabinet with medical compounds and the fascinating glass equipment of the chemist from the other. Behind, Sandy Butler’s videos of flying birds, of skylarks and geese, are projected through an all-covering scrim painted with the delicate, annotated line drawings of an ancient herbal. All around, flying over and above and through the narrative, Pippa Murphy’s soundscape brings the world Polwart is describing – the wetland that provides the lungs of the world and the medical compounds for our health – into another kind of focus. This is theatre from which ideas are born, its concern is whether they can live.